The defilement of slain gay activist David Kato’s funeral by a “preacher” and local villagers who refused to bury his body shows the capacity of Ugandan society to commit extreme violence against gay, lesbian, bisexual and transgender people. Thanks to the hateful messages spewed by American evangelical missionaries and the sermons preached by local religious zealots, the public has been whipped into a fanatical anti-gay frenzy. Sexual minorities have been so demonized that their lives are now seen as worthless. When people are dehumanized to this extent, it is not difficult to imagine the possibility of large-scale atrocities. If anyone doubts this, they should read Daniel Jonah Goldhagen’s book, “Worse Than War: Genocide, Eliminationism, and the Ongoing Assault Against Humanity. The author makes a persuasive case that when a group is singled out, labeled inferior and deemed a threat to society, the public is primed to carry out violent acts that are otherwise unthinkable. 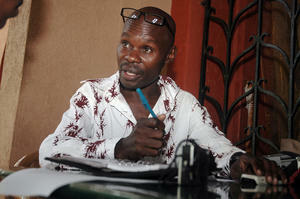 Given the level of vitriol in Uganda, no one was surprised when Kato was bludgeoned to death with a hammer in his home last week – least of all this brave gay activist himself who warned that “people were following him” and that “he feared for his life.” As the saying goes, one is not paranoid if the threat is real. The treatment of this hero at his own funeral shows the moral depravity of what many people try to pass off as religion. According to various news reports, a graveside preacher exploited the somber affair to use it as an opportunity for condemnation. News reports say that villagers defended the preacher and a “scuffle” ensued. The local mob then refused to bury the body and it was left to gay activists to dispose of their friend’s remains. The lack of empathy, human compassion, and respect for Kato’s body is astonishing. Only a spiritual cesspool with “religious” teachings ranging from vacuous-to-vaudeville-to-violent could produce such monsters. Is this really what religion has been reduced to in Uganda? Ironically, the one figure that emerges as Christ-like is Kato. Kalende rightfully places the blame squarely at the feet of militants – both American and Ugandan — who are currently promoting The Anti-Homosexuality Bill. Indeed, most of the trouble in Uganda began when American evangelicals like Rick Warren, Lou Engle, and the secretive organization The Family began coming to Uganda to export their culture war. The situation intensified in 2009 when two “ex-gay” activists joined holocaust revisionist Scott Lively at a conference in Kampala to discuss the evils of homosexuality. 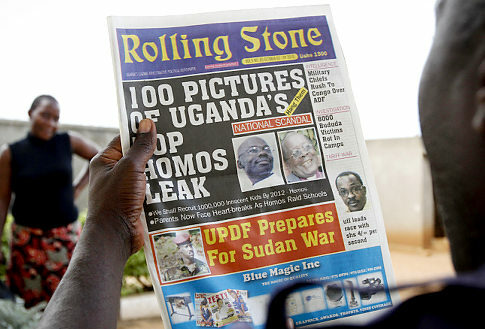 Two weeks after the conference, Lively bragged that he had delivered a “nuclear bomb against the gay agenda in Uganda.” This was followed by the introduction of the harsh Anti-Homosexuality Bill and Uganda’s Rolling Stone tabloid (no relation to the American magazine) publishing Kato’s picture alongside other gay activists with the call to hang them. Interestingly, we have no compunction about expressing our outrage when Muslims mask nefarious intentions behind the front of Islamic charities. Yet, we rarely reserve the same righteous indignation when Americans hide murderous designs behind the veil of evangelical charities. When Christian extremists plan trips to developing countries, the State Department ought to begin asking what their “mission” is and what they are trying to “revive” during their revivals. If the answer is religious agitation and stigmatizing minorities, their passports ought to be revoked for the sake of national security. President Barack Obama made a powerful gesture by recognizing Kato’s contributions to humanity. The next step should be that key members of Congress threaten to cut off funds to Uganda if the Anti-Homosexuality Bill passes. The perfect name for this action would be, “The David Kato Human Rights Bill”.